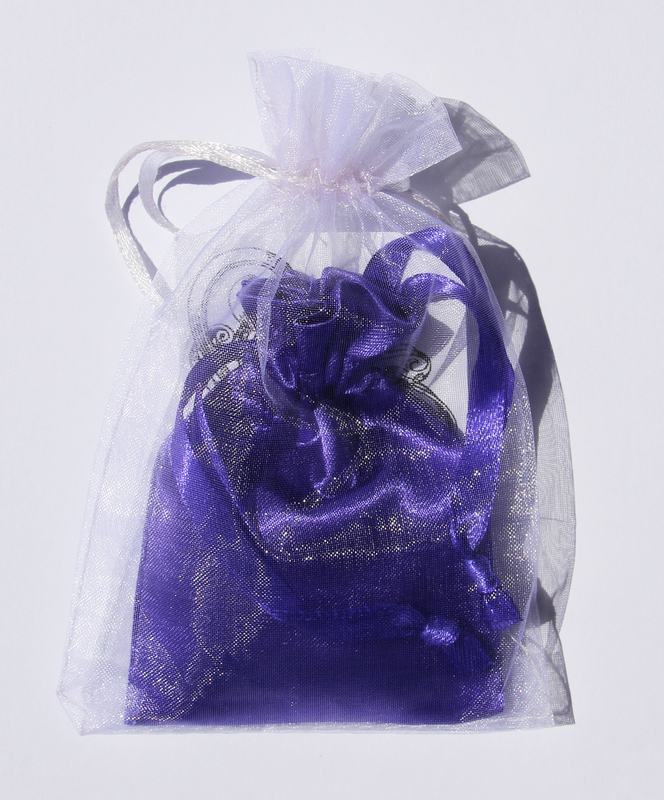 Buy 5 or more ‘Grant me my fortune’ and receive 10% discount. 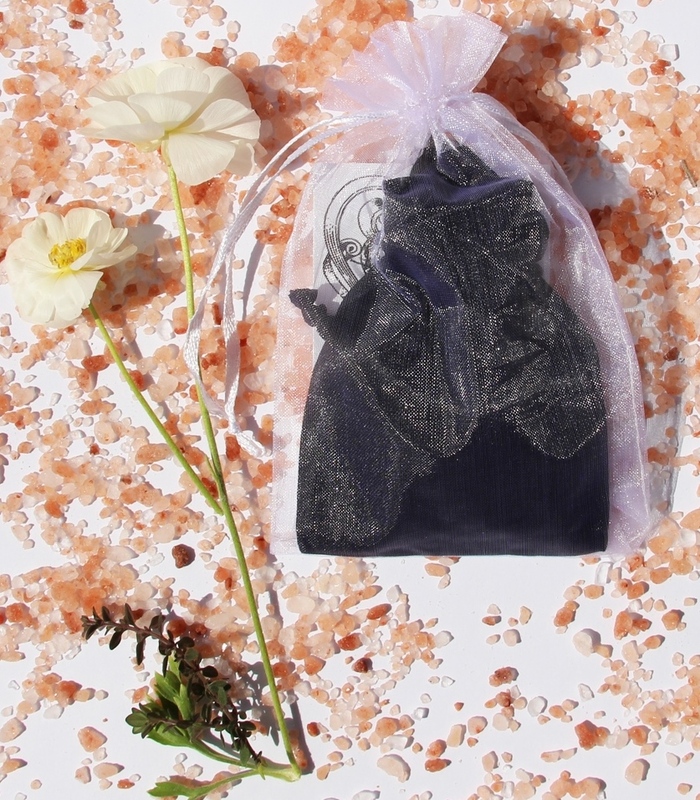 SKU: N/A Categories: Attract Money & Luck Pouches with Blessing, Protection Pouches with Protection Blessings, *Charmed Pouches with Blessing cards Tag: Protect me from bad luck. Bring me good fortune. Buy 5 or more 'Grant me me fortune' and receive 10% discount. 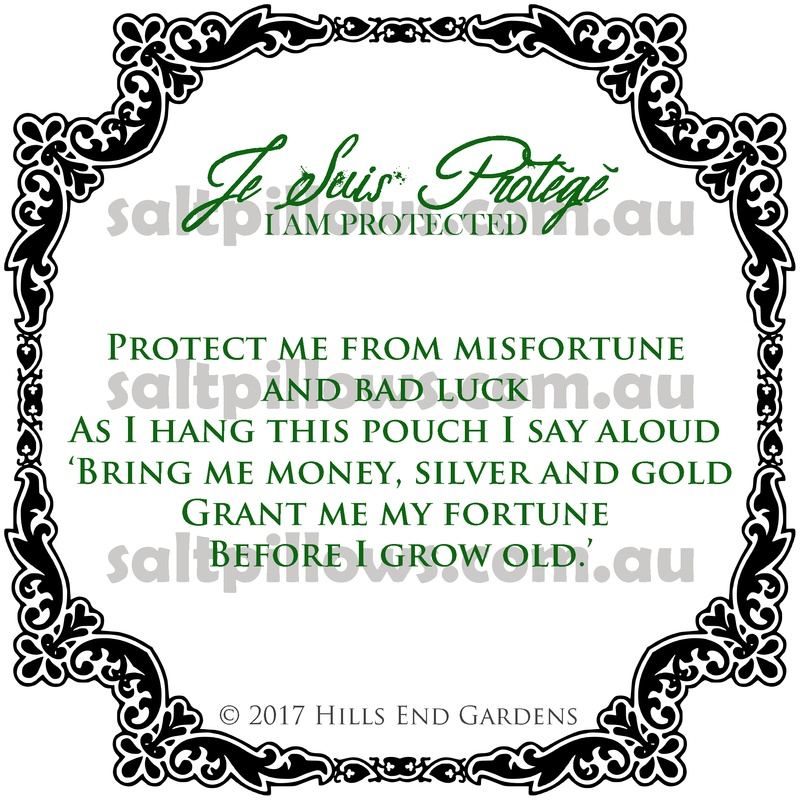 Protect me and grant me my fortune! Instructions: read blessing out loud. Mean it, say it with pure intention. Have no doubt that the universe will respond. 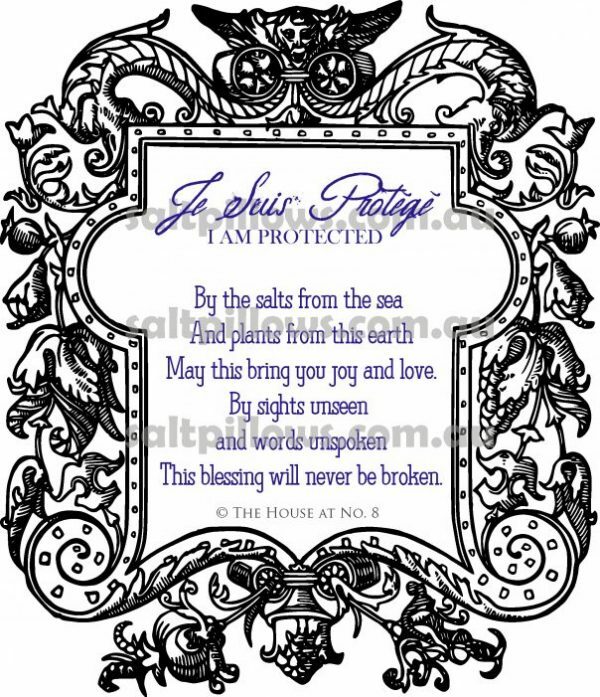 Hence forth, bring it on…and if you know someone who is in need of this blessing, gift them this pouch and blessing. 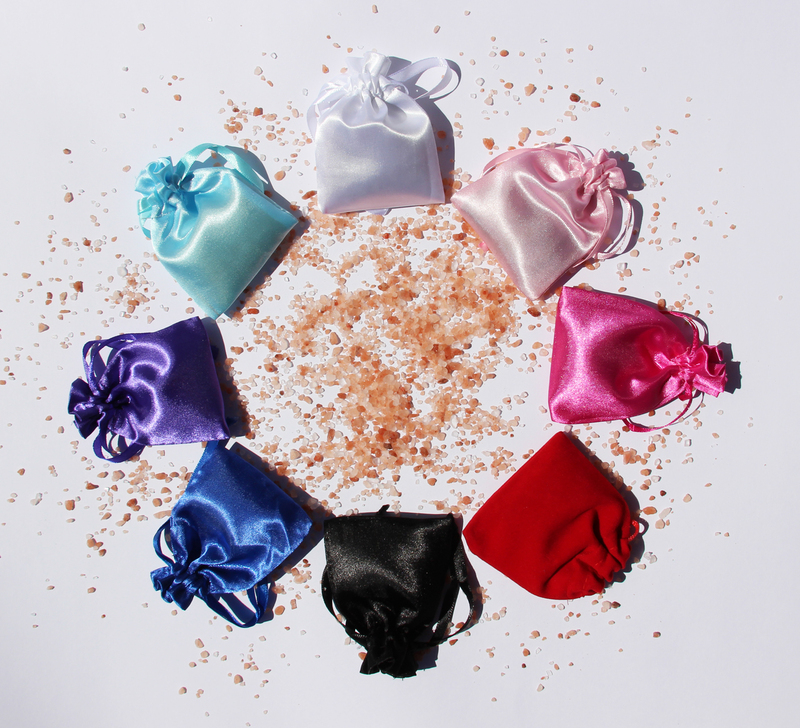 Grant me my fortune pouches contain salt from the sea and a selection of dried herbs specifically for protection and summoning. Herbs have been grown in gardens worldwide for a very long time to ward off bad luck and attract riches, money, silver and gold. ©2017 Hills End Gardens All rights reserved. 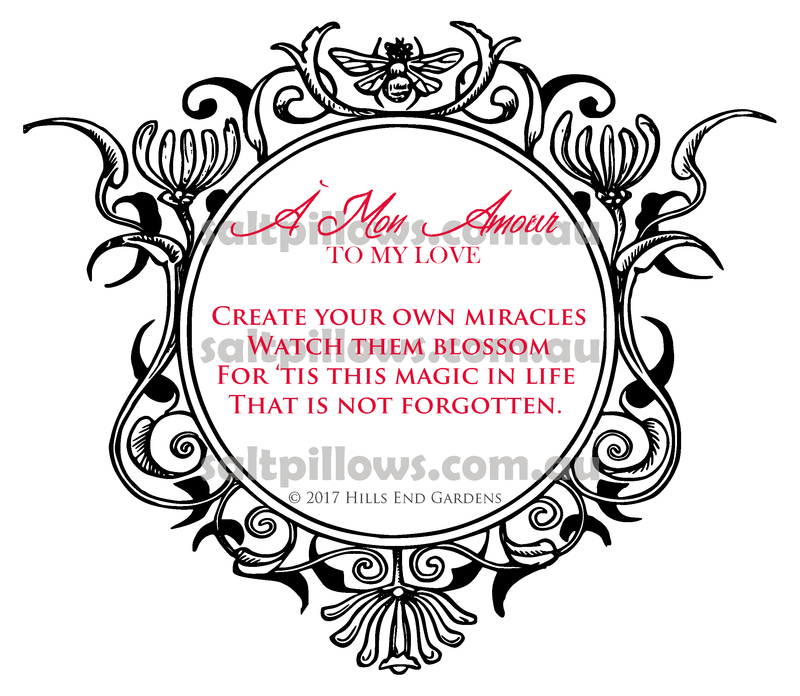 Please do not use, copy, reprint or publish our original Blessings without our express permission.